In an effort to alleviate growing food insecurity in the inner suburbs, Daily Bread has opened Toronto’s newest food bank in Scarborough, an area of Toronto that has seen an 86% increase in food bank use over the past decade. Daily Bread’s annual Holiday Food Drive kicks off on Monday, November 26 with an aim to reach a fundraising goal of $4 million – the largest goal by Daily Bread to date. Richardson GMP announced a three-year, $100,000 sponsorship of Daily Bread Food Bank’s food delivery trucks used for distribution of food to their 126 member agencies. This sponsorship is part of the firm’s national effort to support Canadian charities not only financially but also through volunteer efforts. At the end of 2008 when the economic crisis hit Toronto, food banks saw a dramatic jump in use by nearly 10%. A recent report shows that despite Toronto’s growth in prosperity, there still continues to be a steady and severe rise in food insecurity levels. Stella is live at the Daily Bread Food Bank chatting with the CEO Neil Hetherington about this year’s Thanksgiving initiative. Stella is live at the Daily Bread Food Bank learning about the kitchen and helping cook some delicious food with Chef Matt Neill. Stella is live at the Daily Bread Food Bank talking to Chef Sous Chef about the #DailyBreadFive Food Challenge. As the holidays draw near, and more and more families face food insecurity, six major food banks in Toronto and the GTA have come together to launch a joint Thanksgiving Food Drive aimed at bringing awareness to the need of the region. Mobile produce markets pilot to bring free fresh food to homes across Scarborough. A government for the people should include everyone. Hunger and poverty should not be partisan issues. Earlier this year, Daily Bread Food Bank reported a positive, and hopeful trend in usage among clients whose primary source of income was Ontario Disability Support Program or Ontario Works. This occurred at the same time as important investments by the provincial government in social policy initiatives: more Ontarians were able to take a step further away from poverty and food insecurity. The announcement this week that the new provincial government plans to retreat on improvements to social assistance, cancel the basic income pilot project, and ignore the recommendations made by the Income Security Reform Working Group, will negatively impact the gains that were made and further erode the fundamental rights of the most vulnerable people in Ontario. The province has said it will take the next 100 days to assess our social assistance programs. We urge them to not undo the progress of decades in a few short months. 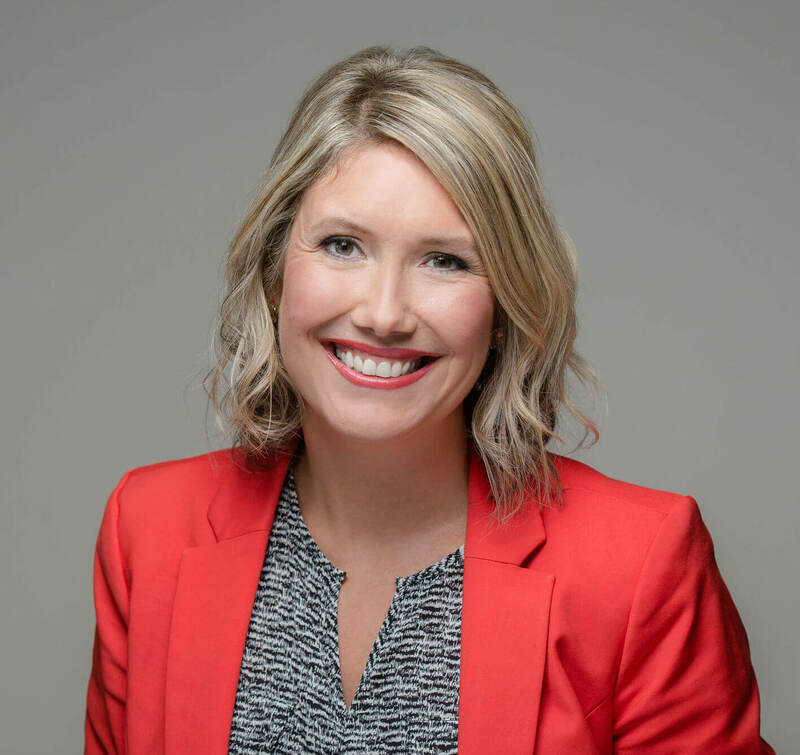 Daily Bread Food Bank is pleased to announce the appointment of Sarah Kiriliuk as the Director of Marketing and Communications for the organization. This new role was created to help address the tremendous need across Toronto for enhanced access to food, by ensuring that everyone in the city knows about the hunger issues that many face on a daily basis. “I’m delighted Sarah has agreed to join the organization. Sarah has a proven track record as a force for good in our community. Under her leadership in this new role, Daily Bread will be able to serve the need in the city through innovative partnerships and public engagement opportunities,” said Neil Hetherington, CEO of Daily Bread Food Bank. Kiriliuk is a purpose-driven executive with 15 years of experience in public relations, communications and marketing who was most recently the Director of Public Relations at a global charity. Prior to that, Sarah was empowering girls and young women as the Senior Manager of National Marketing and Communications at Girl Guides of Canada. New research from Daily Bread Food Bank shows an almost 8 per cent decrease in client visits in the first quarter of 2018 compared to the same time period in 2017, amounting to nearly 16,000 fewer visits at Daily Bread member agencies. Daily Bread Food Bank and Second Harvest are each launching new initiatives to address food loss and waste (FLW), thanks to a generous grant of $3,453,576 from the Walmart Foundation in support of this important work. Daily Bread Food Bank is encouraged by the 2018 Ontario budget, which contains important measures to advance poverty reduction and improve circumstances for low-income Ontarians. After 12 years as Executive Director of Daily Bread Food Bank, Canada’s largest food bank and food distribution hub, Gail Nyberg announced her retirement, effective in early 2018. She will continue to serve until a successor is named and the transition is complete. Dixon Hall CEO Neil Hetherington has been named the new CEO of Daily Bread Food Bank, the largest food bank in Canada. Daily Bread’s current executive director, Gail Nyberg, is retiring after leading the organization since 2005. Daily Bread Food Bank, Canada’s largest food bank and food distribution hub, announced its support of the National Housing Collaborative’s recommendation to institute a housing benefit for renters in the 2017 federal budget. A housing benefit, given directly to a tenant, would help to address the lack of income which drives the need to get emergency food relief from a food bank.